Monorama font family from Indian Type Foundry. 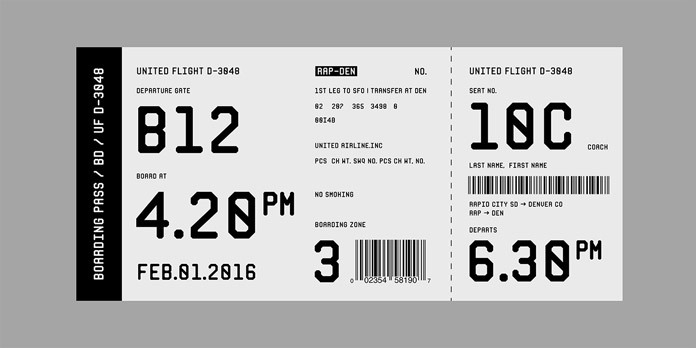 Monorama, an all-caps display font family with a modern and quite technical touch. 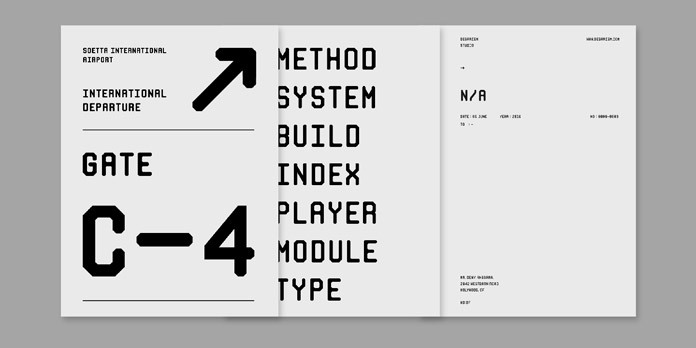 Designed by Deni Anggara in 2018 for Indian Type Foundry, the Monorama font family is based on all-caps letterforms with a distinctive technical look and feel. For instance, letters that are traditionally rounded such as ‘C’ or ‘O’—are all straight-sided. All stroke-endings appear kind of modulated. The letter ‘Q’ has a tail but doesn’t descend below the baseline. Even the letter ‘J’ has a non-descending tail. The zero comes with a slash inside of its counter to distinguish it from the letter ‘O’. The family includes a wide range of numerators and denominators for typesetting fractions. Each font has two different ampersands to choose from. The family is a great choice for headlines and modern logo designs that need a more technical look. Furthermore, you can use it for posters, flyers, t-shirts, etc. Monorama is currently available as introductory offer at MyFonts. For further information, just follow the link below. You can purchase the family here. 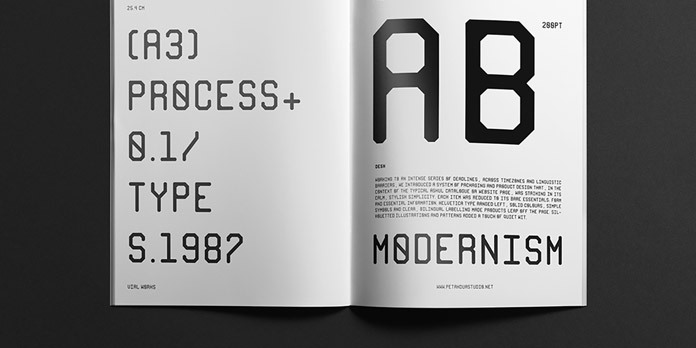 These industrial letters are well suited for a variety of design projects. 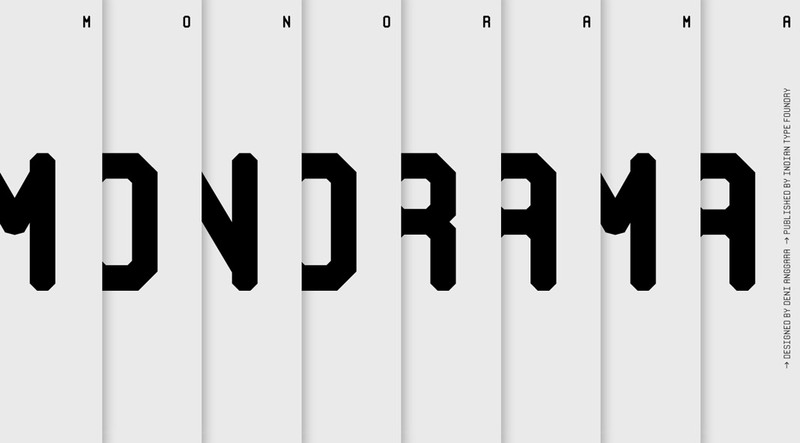 The Monorama font family from Indian Type Foundry. Download the family for a very low budget at MyFonts. Do not hesitate to have a look at our recommended Fonts category. Our reviews will help you to find the perfect typeface. 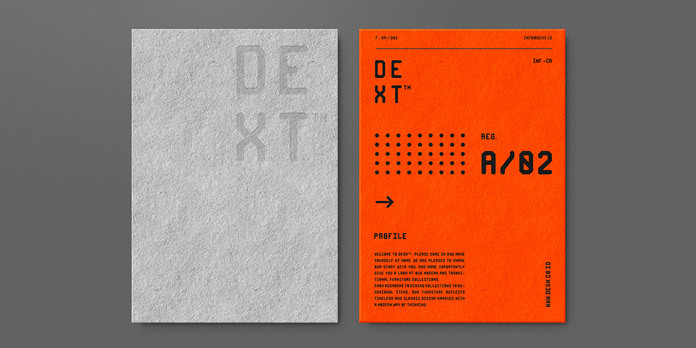 You can also find a handpicked range of graphics in our Templates category.